Growing up, my local library was my home away from home. I could order any book in the world and have it delivered to my little Massachusetts town. My Girl Scout troop met there every week. My grandmother and I picked out cookbooks and movies there. I lived in a little rural town where I could ride my bike to the library like a kid from Stranger Things, but in New York it can feel a little overwhelming to find a library to call your own. 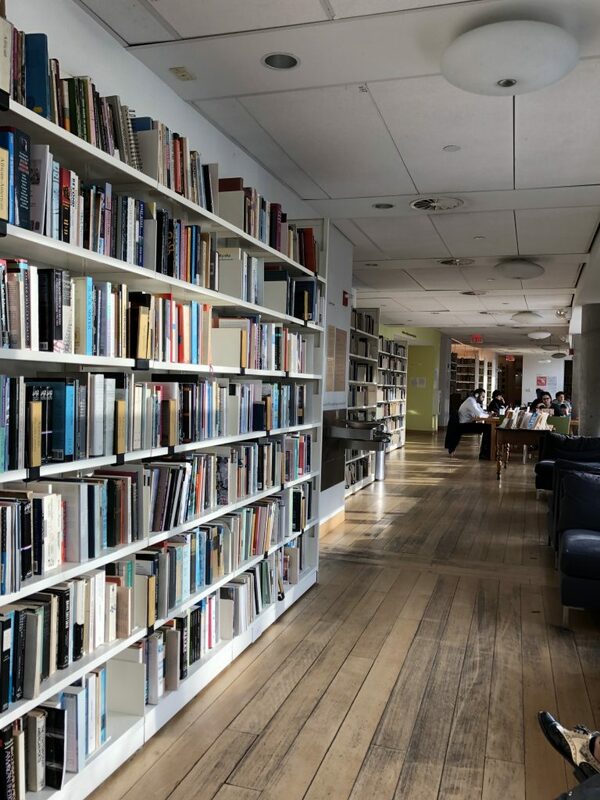 There are 143 libraries in New York City, all with different aspects that make them special and unique from one another. 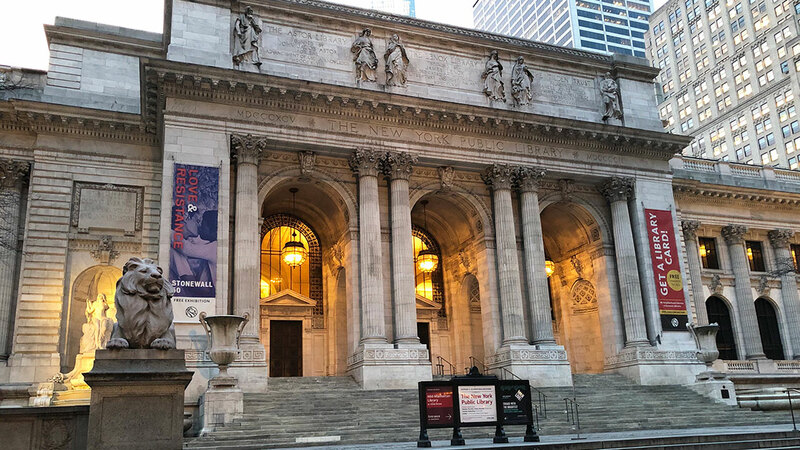 As I often wander through different NYC neighborhoods (yes, because I’m usually lost), I can’t help looking for the Lion-emblazed red and orange flags that mark every New York Public Library. These are my five favorite spots, but if they don’t appeal to you, there are 138 others to explore! A bona fide New York City landmark, the Mid-Manhattan Library, a.k.a. 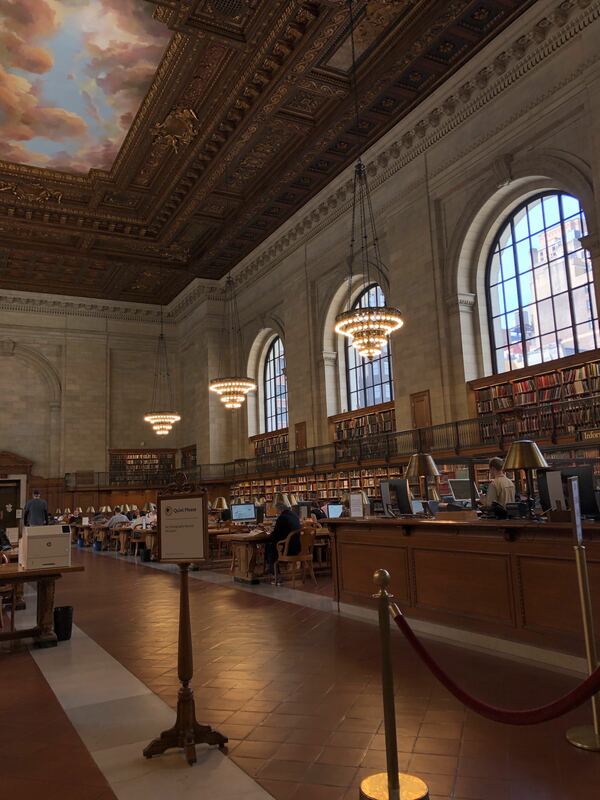 the Stephen A. Schwarzman Building, is a massive space dedicated to all things literary. Guarded over by its two regal stone lions, this monolith contains art exhibitions, rare manuscripts, gorgeous architecture, and, of course, rooms upon rooms of books! Located adjacent to Bryant Park (my personal favorite outdoor space) and built circa 1911, it is one of New York City’s greatest treasures. Although not as quiet and cozy as more local libraries (read as: tourists everywhere! ), it’s still an incredible homage to literature that any book lover has to see. Built within the confines of a 19th-century courthouse, the Jefferson Market Branch of the NYPL is by far the most intricate in New York City. With a towering spire, stained glass windows, and intricate architecture, it more closely resembles a church than a library, but inside, as you ascend the stone spiral staircase, you’ll encounter those familiar stacks that beg you to browse. 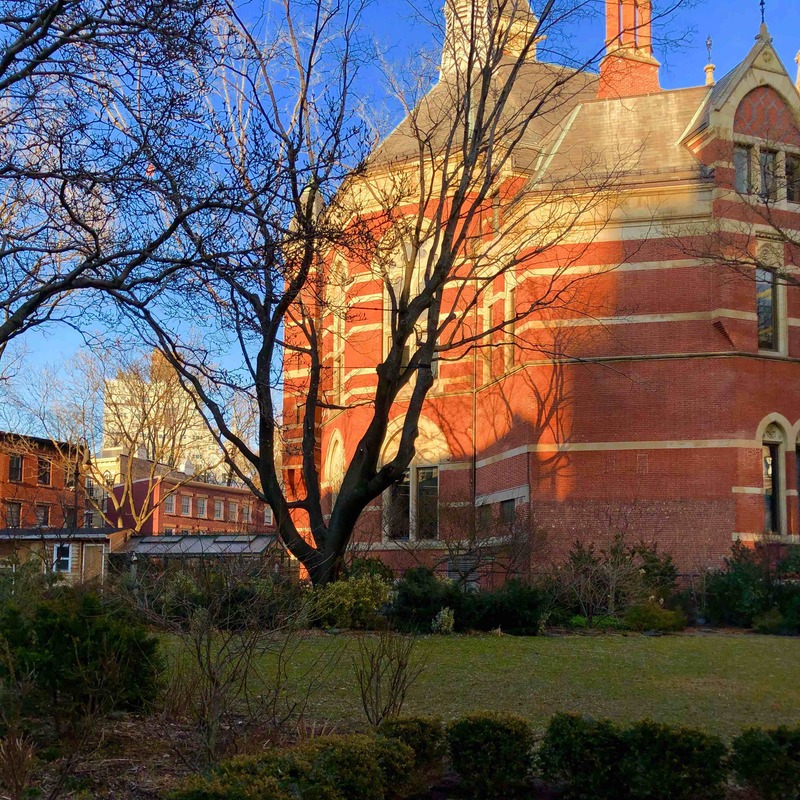 It also has a quaint garden for reading in during the spring and summer, a massive children’s room, an events space, an art installation room, a beautiful brickwork area, and, of course, loads of books! 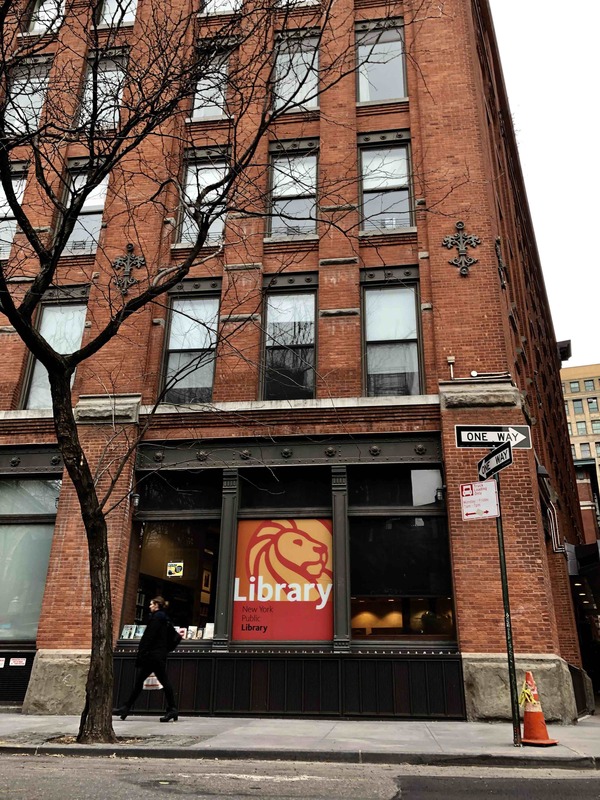 A cozy, quiet nook right off the hustle and bustle of Houston Street, the NYPL Mulberry Branch offers a bright workspace on the first floor, an adorable children’s room on the second, and a large events space for book readings and lectures on the third. The children’s space is particularly my favorite with a secluded book nook, colorful windows, and a special welcome from Winnie-the-Pooh. With huge, lofty windows, the main floor provides the perfect spot to catch up on your current reading along their windowsill benches. A short walk from the iconic New York County Courthouse (yes, of Law and Order fame) is the gorgeous façade of the Chatham Square Library. Nestled within Chinatown, the neighborhood is reflected inside the library itself. 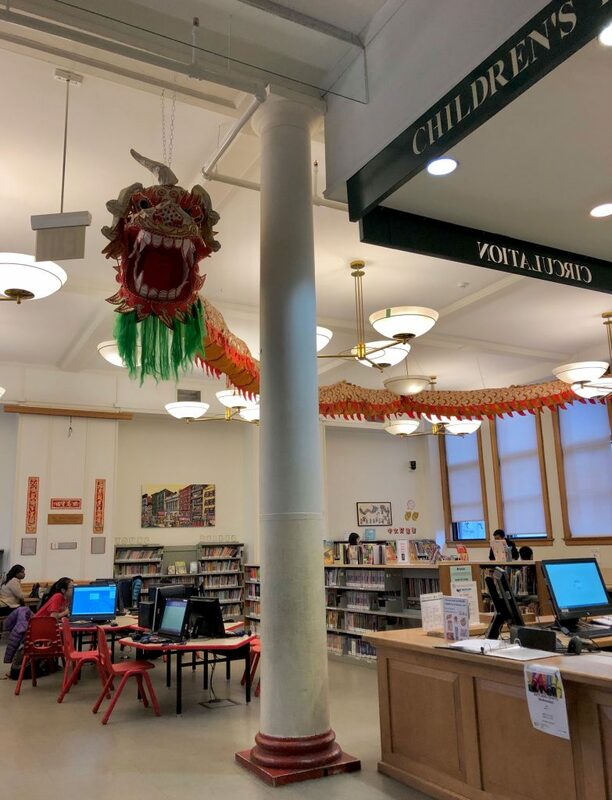 With a whole floor dedicated to Chinese heritage and literature and interior flourishes that reflect its culture (like a giant paper dragon and signs and posters with directions in both Cantonese and English), this is a fantastic example of libraries serving as cultural community spaces as well as rich sources of the history of literature.